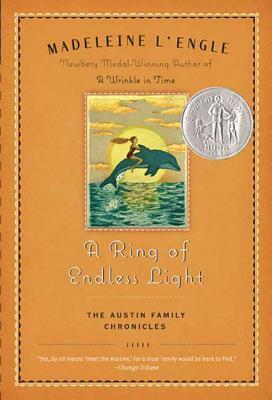 Book four of the Austin Family Chronicles, an award-winning young adult series from Madeleine L’Engle, author of A Wrinkle in Time, about a girl who experiences the difficulties and joys of growing up. Zachary Grey, the troubled and reckless boy Vicky met last summer, wants her all to himself as he grieves the loss of his mother. Leo Rodney has been just a friend for years, but the tragic loss of his father causes him to turn to Vicky for comfort—and romance. And then there's Adam Eddington. Adam is only asking Vicky to help with his research on dolphins. But Adam—and the dolphins—may just be what Vicky needs to get through this heartbreaking summer.